Our unique water-resistant seal protects our doors against water infiltration on all sides to prevent warping, delamination, corrosion, rotting and the buildup of mold and mildew. Our high-impact compression molded skins will not splinter, dent, warp, rot, or rust. Surfaces are easy to stain or paint, and easy to clean. Our deep-profile fiberglass skins create stronger dimensions and crisper shadow lines. Architecturally correct stile and rail proportions enhance the door's traditional oak appearance. Our full-length composite stiles provide complete waterproofing for the door's insulation. Composite stiles have two times the screw-holding capabilities of traditional wood-edged doors and will neer splinter like wood. High-strength engineered composite top and bottom rails prevent moisture from seeping into the door. Bottom rails will also accommodate a range of doors sweeps. While some other fiberglass door manufactureers still use HCFC-Free foam, we are proud to offer a door which is completely CFC-Free in compliance with U.S. environmental standards to prevent destruction to the earths' ozone layer. The advanced polyurethane core used in our doors also enhances the door's soundproofing capabilities and provides insulation properties six times greater than wood doors. 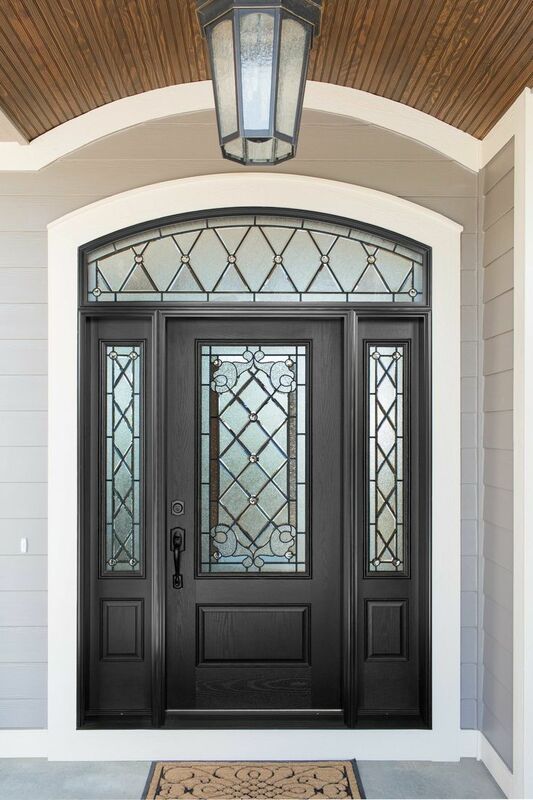 Along with being available in a wide range of door styles, the Timberline CE family is available with a variety of decorative glass options to create the perfect entryway. Allow for an abundance of natural light and generous views, while maintaining energy efficiency. A removable glass stop allows the glass to be replaced if it breaks, or if one simply wishes to update the glass design. Timberline CE Woodgrain Products offer a limited lifetime warranty. Timberline CE Smooth Products offer a limited 25 year warranty.